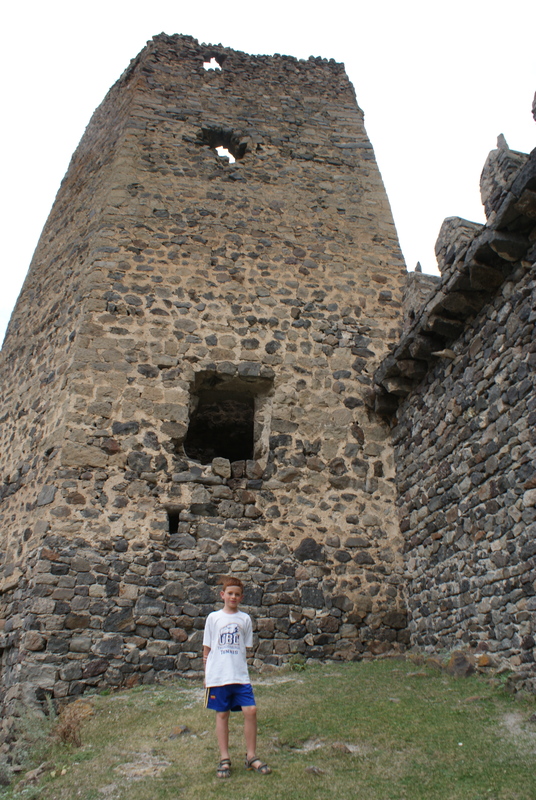 Republic of Georgia with Kids: The monastery of Sapara and the way to Vardzia. After breakfast we said goodbye to Levan and his family. Leaving Borjomi, we drove past the abandoned hulks of what were once huge hotels. It was almost impossible to imagine how this place had once been a hugely popular tourist destination. It really is incredible what twenty years can do – in so many parts of the world the last twenty tears have seen tremendous growth and prosperity – just think of many Asian countries, yet here was an example of a place that had simply drifted backwards in time, and where the economy had almost disintegrated. We headed past the turnoff to Bakuriani, once a major Ski resort, and made our way towards the southern town of Akhalstikhe, near the border with Eastern Turkey. 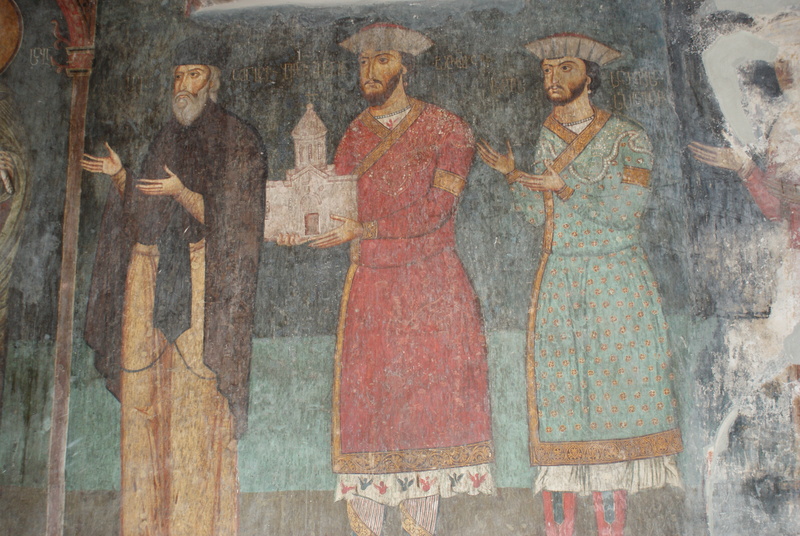 Once there, Malchas mentioned that not far away was the monastery of Sapara, famous throughout Georgia. The Lonely Planet briefly mentioned Sapara in glowing terms so it seemed an excellent opportunity. We headed towards the hills and soon we were climbing up through farmland and then forest. It was a spectacular drive – we passed farmers travelling in little carts drawn by oxen, and we saw others in the fields with their scythes cutting hay. The road twisted and turned precariously and Malchas was soon frustrated by what was becoming a very poor surface. Eventually we saw the monastery buildings, situated high on the mountain overlooking the forests below. The church is about 1000 years old. 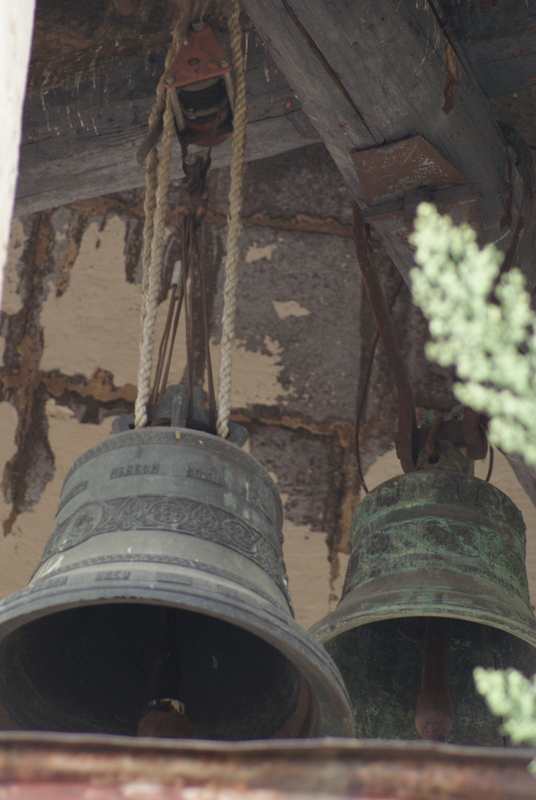 We ventured in and simply wandered around – in addition to the church there were many outlying buildings as well as walls and what seemed like fortifications higher up. Sapara truly is an incredible site – seemingly so remote, yet the parked 4×4’s belonging to the monks showed that they are very much in the modern age. 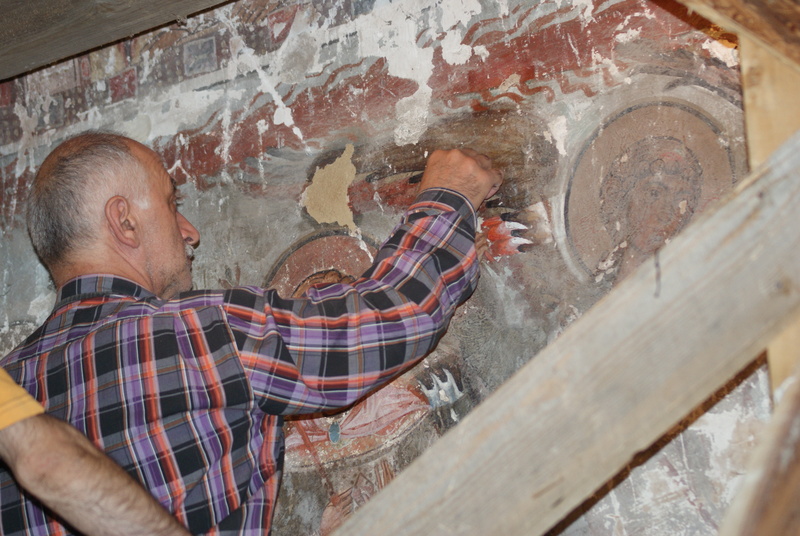 Inside the church we watched as restorer meticulously worked on retouching ancient frescoes. It seemed like a job that could last forever, keeping him and his descendants very busy. From Sapara it was back down the mountain and on into the nearby valleys. This was very dramatic drive – the road passes close to the river, with huge hillsides on either sides, and we passed by the huge castle of Khertvisi (10th century), where we stopped and (once again) Daniel and I clambered up to explore – what a place – in any other country this huge fortress would be a national icon, yet here we were, with no other person in sight, and with the castle keep and surrounds full of cows! 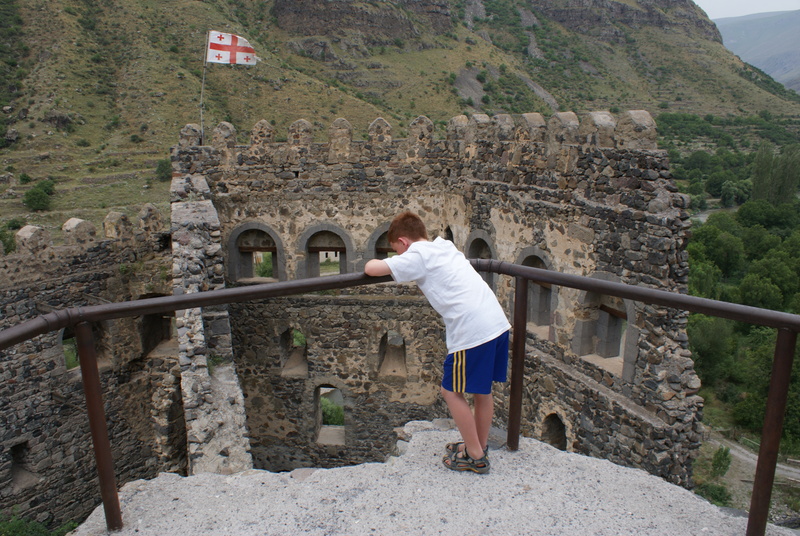 The road pressed on, and the mountainside soared above us – we saw remains of other castles and walls all over. At one point the road narrowed to one lane due to roadworks and slowly edged around the bulldozers with the river roaring below us. Finally, we rounded a corner and saw an incredible site – high up on the mountainside were layers and layers of what looked like caves, but as we got closer it was apparent that they were all connected by staircases, and we could make out ant-like figures on the mountainside as well – we had arrived in Vardzia, one of the most famous sights in all Georgia. PS: These days I am helping families plan great trips to destinations on five continents. Click here for more info. « Republic of Georgia with Kids: Staying with a concert pianist in Borjomi (via unpronouncable Uplistsikhe).